Akilagpa Sawyerr is the Head of Laryea, Laryea and Company, established 1982. He is a Ghanaian jurist and practitioner, who studied at the University of Durham (LL.B), the University of London (LL.M) and the University of California, Berkeley (LL.M and JSD), and was called to the Bar in England (Lincoln's Inn) (1963), Ghana (1963), and Papua New Guinea (1979). Professor Sawyerr taught law, with specialization in International Trade and Investments, at the University of East Africa, the University of Papua New Guinea, and the University of Ghana, where he ended his academic career as Vice-Chancellor. 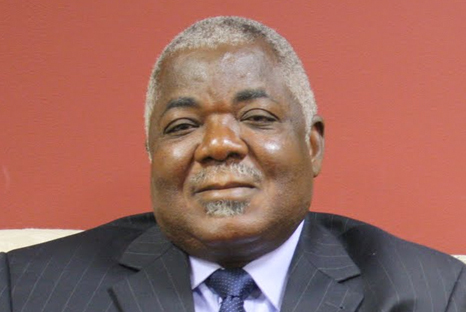 He served as Secretary General of the Association of African Universities, retiring in 2008. He has held high public office in Ghana, as the Founding Chairman of the Minerals Commission, Member of the Council of State and Chairman of the Volta River Authority, the leading energy generating company in Ghana. 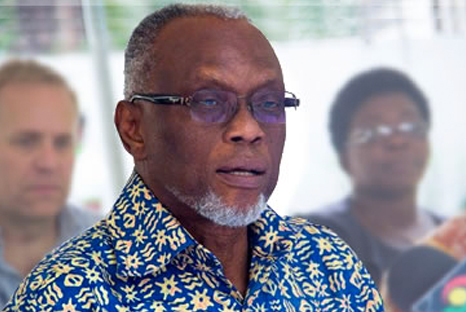 He is President of the Ghana Academy of Arts and Sciences and currently leads a technical team charged with reviewing the legal regime governing mining in Ghana and re-negotiating existing stability agreements in the sector to bring them in line with the new scheme. 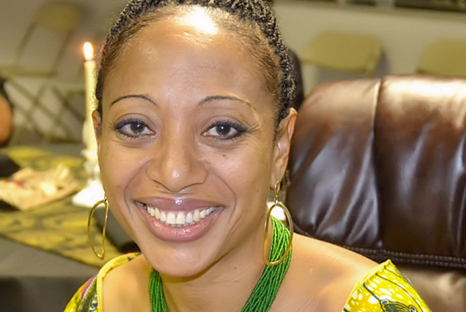 Samia Yaba Christina Nkrumah is a Ghanaian politician, a former Member of Parliament and a former chairperson of the Convention People's Party. The daughter of the first president of Ghana, Kwame Nkrumah. Samia attended Achimota School and later proceeded to the School of Oriental and African Studies of the University of London in the United Kingdom, where she obtained the degree of Bachelor Arabic Studies in 1991. She also completed a Master's degree at the same institution in 1993. Kwami Sefa Kayi who is also known as Chairman General comes from Ho – Bankoe in the Volta region. 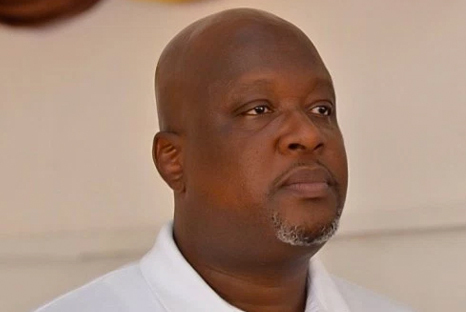 Kwami Sefa Kayi is married with three children; two girls and a boy. He had his Senior Secondary Education at Okuapeman Secondary School and furthered his education, holds a G.C.E., O and A- Level Courses in Broadcasting and Media Studies, Certificate in Public Relations, Advertising & Marketing all from the Institute of Journalism, and a Certificate in Advance communication from the Ghana Institute of Journalism. His life has not turned out as he expected as a youngster because his youth ambition was to be an Army officer, "Because he thinks it is the most courageous and humble thing to do in life". Kwami joined a drama group at Ghana Broadcasting Corporation where he later got his first lesson in Radio Journalism. Living a day at a time, the multiple award winner, who loves to read and play tennis as his hobbies, is a Christian whose favorite book is the Bible. He is also interested in anything by Bob Marley. He is the host of the popular morning show on Peace FM called the “Kokrokoo” and he has the ability to affect millions of lives positively. Kwami Sefa is still achieving the proudest. Mr. Kayi’s favorite team is the Hearts of Oak, Kpando Hearts of Lions and Chelsea FC. Kwami over the years have improved in his carrier and thus won the admiration of many in and outside the country and even joked about how he has moved on from the local tro-tro transport to his mother’s place at Okponglo, to now driving a Mercedes Benz. 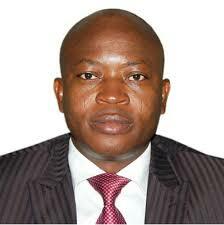 Ken Kanda is a Ghanaian diplomat. He is the Permanent Representative of Ghana to the United Nations. He obtained a Bachelor of Arts degree in 1975 from the University of Ghana where he studied Political science and Modern history. He also received a graduate diploma in international studies three years later. He was also a Hubert Humphrey Fellow at the Woodrow Wilson School of Public and International Affairs, Princeton University, New Jersey, United States. Kanda entered the Ghanaian foreign service in 1976 and served in various capacities in places including Copenhagen and Bonn. He was Protocol Officer to the Vice President of Ghana John Atta Mills between 1997 and 1998. He then held various positions within the Ghana foreign service both within and outside Ghana till 2009 when he became Director of State Protocol. He continued in this post till his current appointment to the United Nations. He was appointed in 2011 by President Mills. From 2011 to 2014 Kanda was a Vice-President of the Assembly of States Parties of the International Criminal Court. Michael Luguje is a bilingual (English and French) port management expert with 15 years of diverse experience in the port management and maritime transport sector. He is currently the Secretary General of the Port Management Association of West and Central Africa (PMAWCA) where he is coordinating work programmes to facilitate exchange of knowledge and best practices among over 20 Port Authorities in port policy administration, port operations management and trade facilitation. Mr.Luguje holds a BA (French/Linguistics) from the University of Ghana, MSc in Port Management from the World Maritime University (Sweden) and Executive MBA in Project and Strategic Management from the Paris Graduate School of Management (France).